Winterfest OC Brings A Sleigh Full of Fun to Orange County! We have loved visiting Winterfest OC in the past. My kids enjoy the festival of lights and of course snowflake village for snow tubing. They can never get enough of the snow tubing. I personally love the variety of things to do and see for all ages. There is something for everyone to ring in the Holidays and New Year! SoCal Dicken’s Village - Take a trip down memory lane with holidays past, present, and future. Decorate Christmas cookies, listen to holiday storytelling, visit with Santa and Mrs. Claus (through Christmas Eve), take a pony ride, and visit the new Victorian holiday shops. 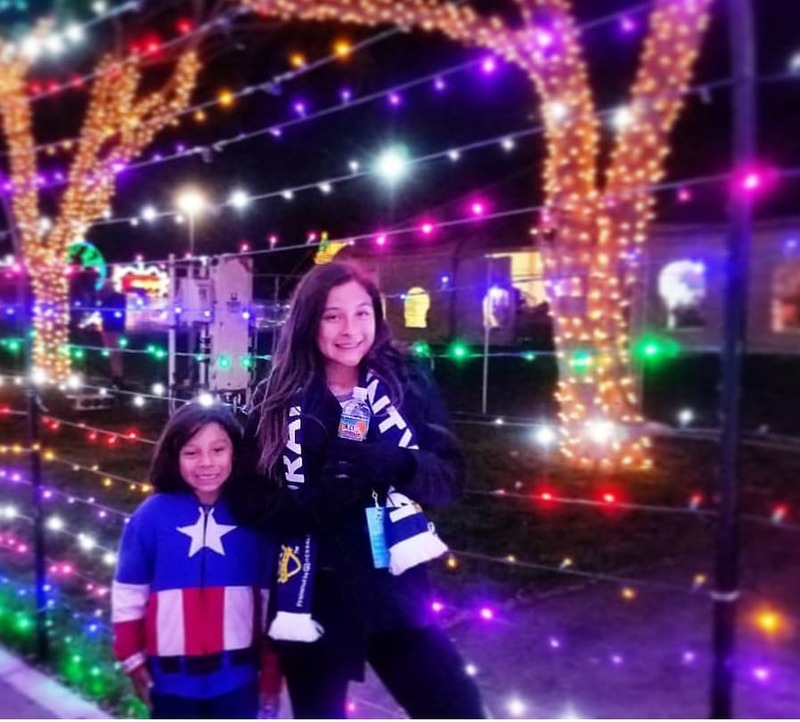 Candy and Snowflake Wonderland - An interactive wonderland full of candy and snowflakes offer a new selfie experience that is sure to delight visitors and capture the picture-perfect Instagram moment. 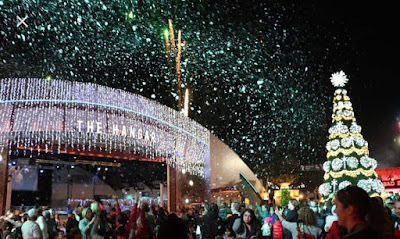 Festival of Lights - Winter Fest’s 100-foot-tunnel of two million lights and 5 lands with animated displays. Orange Ball New Year’s Eve Celebration - Ring in the New Year not once, but twice, with a special countdown, Orange Ball drop, fireworks and an unforgettable balloon drop at both 6pm and midnight. Multiple live bands will be playing to commemorate the end of the year, and the start of a new one. Club Winter Fest - Private, ice rink-side VIP cabanas are available nightly and offer the ultimate destination for holiday office parties, family retreats or date nights. Enjoy the all-new lounge area with exquisite views of the nightly Christmas tree lighting ceremony featuring fireworks, snow flurries and a free drink upon entry. Tickets are limited. 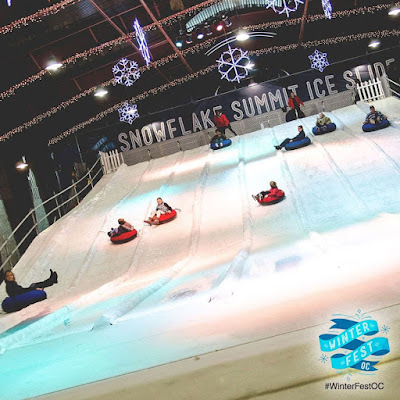 Snowflake Summit - Visit Snowflake Summit for unlimited ice-tube racing down the 150 foot, eight lane slide. Fast Pass wristbands are available starting at only $10 to skip the general admission line. Flying Santa and his Reindeer - Don’t miss the magic of the North Pole as Santa and his reindeer fly over the fairgrounds December 20th - December 24th. This spectacle takes place during the nightly Christmas Tree Lighting celebration and features fireworks and snow flurries. Also returning are the world’s largest rocking horse, wintery-themed bounce houses for kids, a giant walk-through ornament, strolling carolers, petting zoo, character meet and greets, crafts, arcade games, more than 30 carnival rides and games, and seasonal food and beverages. Families are also invited to celebrate El Dia de los Reyes or Three Kings’ Day on January 6th where Winter Fest will honor the tradition of the Three Kings with a parade and live camel. Select discounts are offered for First Responders, Teachers, and Military/Veterans with proof of ID. First Responders are guaranteed free admission on Wednesday, December 26th and January 2nd, Teacher Appreciation Days are Friday, December 21st, 28th, and January 4th, and Military/Veterans are guaranteed free admission on Thursday, December 20th, 27th, and January 3rd. Tickets and select value packages are available now starting at only $10. For more information on Winter Fest OC, visit www.WinterFestOC.com and for the latest updates on entertainment, food and fun follow them on Facebook, Instagram, Twitter, and YouTube or with #WinterFestOC. 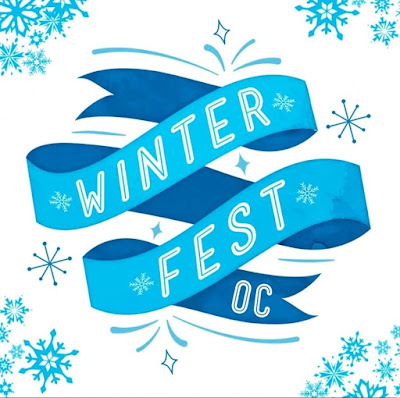 It's Time to Spread Some Holiday Cheer...Thanks to Winterfest OC we are giving away a family pack of 6 GA tickets! Enter below and good luck to all.